Mas el Molí like all country side houses has a good number of diferent animals: horses, hens, dogs and cats. 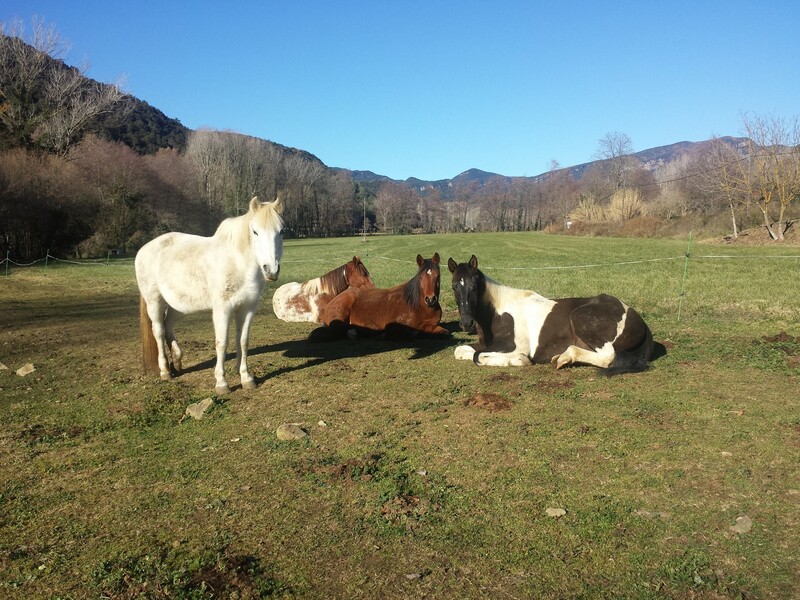 The horses are four: Mel(honey), Lluna(moon), Txiruka and Pitus. 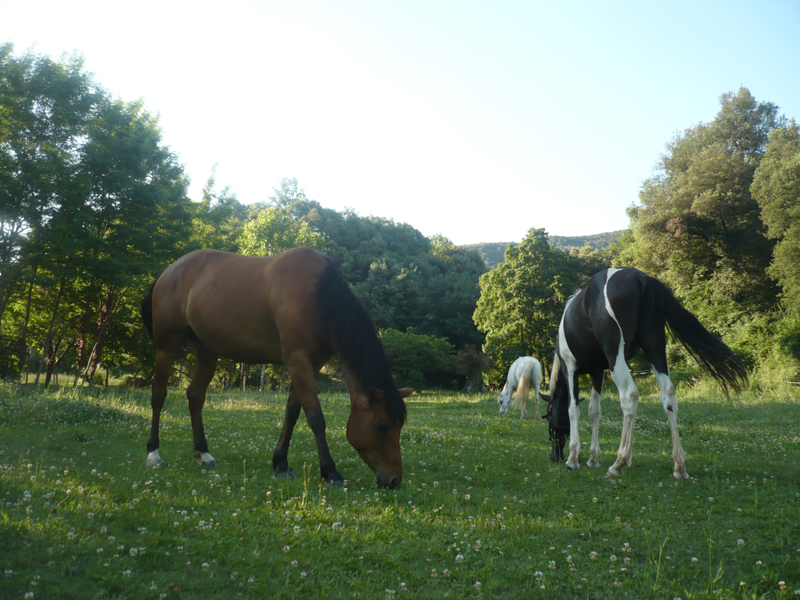 They live in perfect conditions in almost one hectare of pasture. Sometimes we go with them to walk a wile or they can help us too to work in the orchard. In Mas el Moli hens live free. 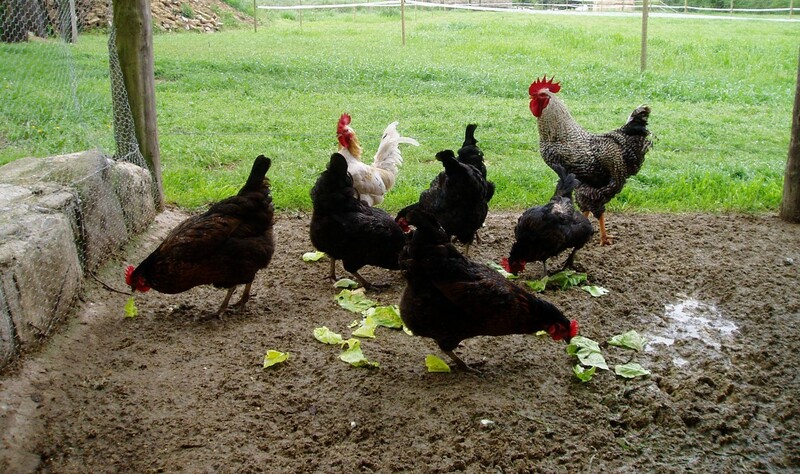 Every morning we open the roost and they go pasturing. In the sunset hens return to the roost because there they are safe from the fox. They make exellent eggs! 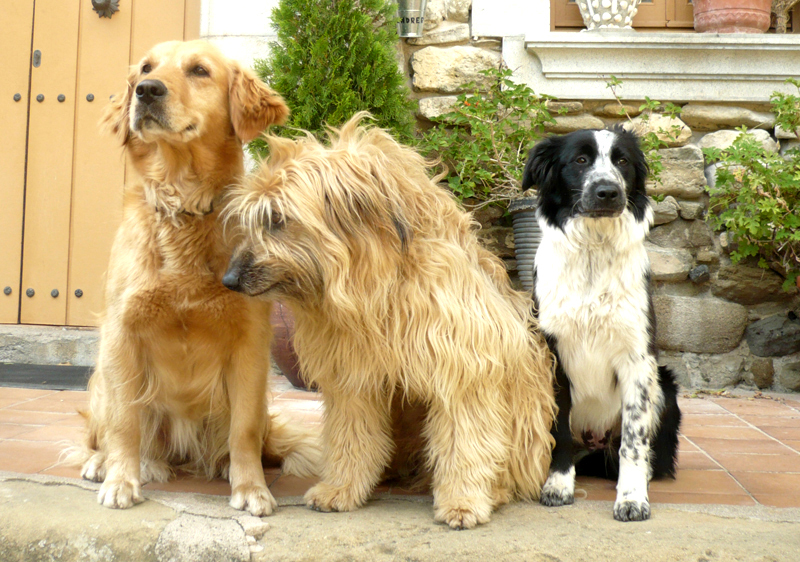 The three dogs are: Molsa (moss), Duna (dune) and Bruc (heath). 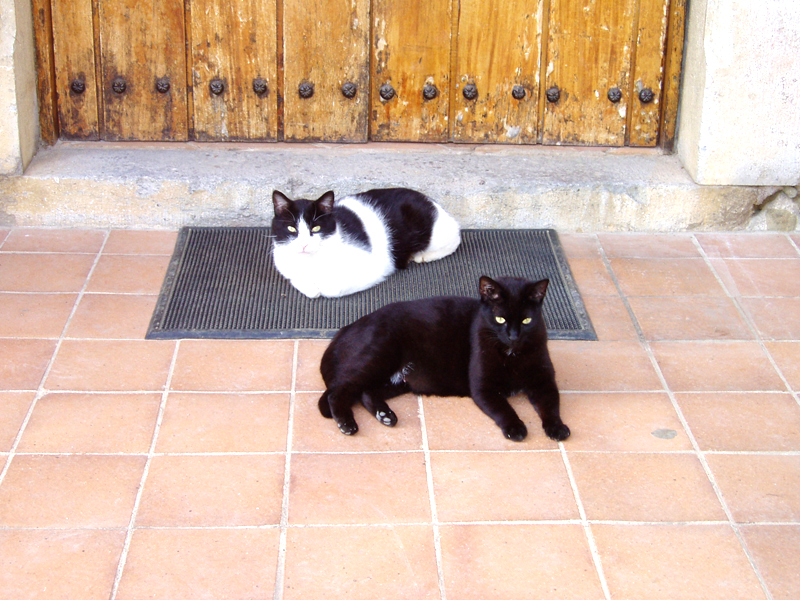 And the cats are: Nevat (snowed), Nil and Trufa (truffle). All of them are very friendly.